Roger Federer thought he had his Monte Carlo Rolex Masters quarter-final match on Friday won on two different occasions, but still sees the week as nothing but positive despite the loss. 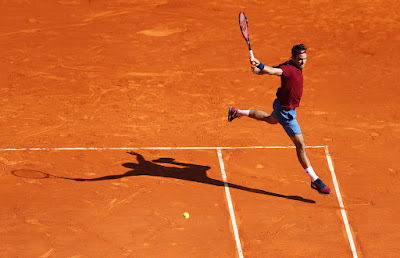 Federer stormed through the first set against eighth seed Jo-Wilfried Tsonga and came within two points of winning the match at 5-4 in the third set. Federer lost 6-3, 2-6, 5-7. But after undergoing left knee surgery in February to repair a torn meniscus, the Swiss star is simply happy to be playing at a high level again. “I thought I was going to win the match maybe after the first set. I thought I was going to win the match maybe at the beginning of the third. But that doesn't matter really,” he said. “It was a good match. It was nice to play an intense match. I'm happy with how the body reacted. So many good things this week. It's all positive for me. 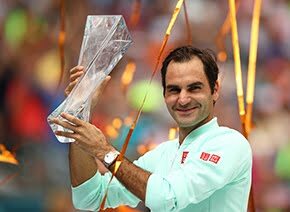 The brief break from the tour has also rejuvenated Federer and left him as motivated as he’s ever been to put in long hours on the court. Even just after his loss, he was already thinking about his practice schedule. “The pre-tournament stuff I was able to do, I trained really hard. My fitness coach was here. We practised well on the tennis court, as well. 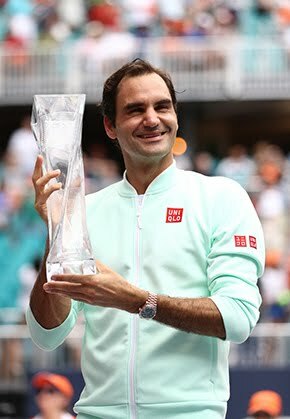 It's been a really good past couple of weeks now for me, so I'm very happy,” said Federer. Perhaps the most encouraging sign for Federer is that this is only his first tournament of the clay-court season. Although he’s unsure of his tournament schedule leading into Roland Garros, the World No. 3 expects to be in peak form by the time he arrives in Paris.